Mmmmmmmmmmmmmmm, eye candy! If it wasn’t clear to me already, it’s now abundantly obvious that Spring is here and I need to go out and see it. Thanks! Liss…Since this is so related to what I’m working on right now, I grabbed it and am throwing it into the mix. I’m fairly certain you won’t mind. When these type of things happen, I think it’s nice to wed them, so that they will forever exist together, somewhat (I say somewhat)immortalized (let’s not take it too seriously) in a Carp Caviar (ain’t it perishable?). That’s it, I’m done. Look for the results on Wednesday. I’m only about 1/10 into it. Sunday off, and things are bouncing. D, that was great. Your music always fits so well. Really cool blog I like it, interesting and different check out mine one time if you feel like it. Hey there, how did you get the photo to post on blogger’s template? I’ve been trying to do that for months. Great Pics…thanks for sharing the photos. everybody here knows these are videos, right? Wait…you have videos on this site??? Ive been commenting all this time on those photos and they are actually videos?? Oh…you will pay for this. Sweet video, did you do the music yourself? I love this video! Great music too! You have taken a simple walk in the garden and made it into a dreamy network of beautiful color and sound that is truely your own! Much respect! I am looking forward to your next video. Quick intro…I am an American, (orginally for North Carolina) I have been living in Japan for the last 7 years. I don’t think I will be able to make it to vloggercon, however really wanna go…if I do make it would really like to meet up! Congrats for being today’s Blogs of Note. have downloaded one of the videos that you have posted – weekend – and thats cool too, but how can we do that dude? do help me out. best of luck on whatever it is that you do…. Very very trippy.. but nice!! I come from FRANCE ! i really like to come here to look your page ! i thought this picture was beautiful i love the colour pink. Wow, that was incredibly beautiful. Thanks!! I don’t know what to say here. I don’t want to just echo the “this is amazing” sentiment. OK! I absolutely love this piece. The way the colours work against each other. Texture. Light. And the music. Eerie. The magic in the things close to us. That is a general theme in your work: How raindrops are magical. Or a child nearby. Or grass. You illuminate those things, give them light, show us, and by showing us in this way you are slowly helping us open up our own eyes – to really appreciate those colours. Texture. Light. Life. 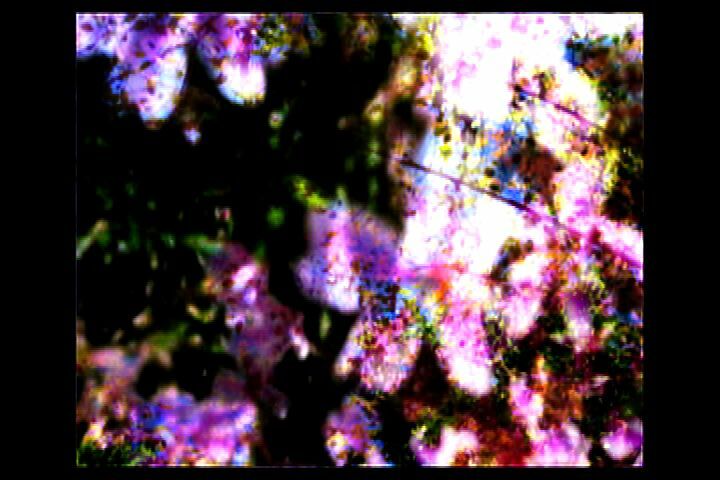 beautiful — the music, the colors, the cuts, the hint of a human hand before a wash of dandelions and pink and purple blossoms… awesome.